Daily Insurance or Day insurance is a short term insurance for your vehicle. Quote Us can provide you with temporary insurance to cover you for short durations lasting from one day cover to a maximum of 28 days. 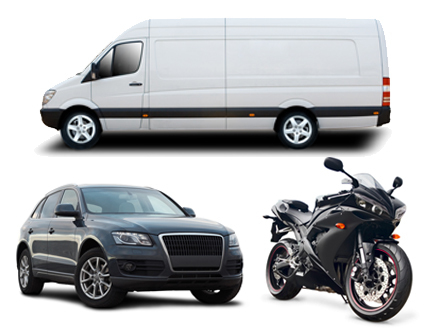 Our daily insurance covers protection for vehicles like cars, vans and transport vehicles for goods up to 3.5 tonnes GVW. This temporary insurance provides complete cover for all instances just like the annual insurance. Temporary additional driver insurance - We can cover a maximum of 2 additional drivers with the short term insurance policy. This insurance can also cover a family member or close friend if they have come to visit you for a holiday. Temporary vehicle insurance - This insurance will temporarily cover an additional vehicle in case you want to borrow one from a friend. Drive away insurance - This type of insurance is ideal for a newly purchased vehicle. You can even take insurance for a day. Test Drive Insurance - This insurance will cover you if you want to test drive a vehicle before buying. The insurance policy allows you for an unaccompanied test drive. Courtesy insurance - This insurance allows you access to a courtesy vehicle when your vehicle is in the garage for service or repair. Day insurance is offered to those individuals who are aged between 21 and 75 and have been living in the UK for past 12 months. Also they need to hold a full valid UK, EEA or EU driving licence for at least 12 months. Any damage or loss caused by fire, theft, vandalism etc.